Are you on the hunt for new home furnishings that won’t break the bank? Shop at American Furniture of Slidell today. 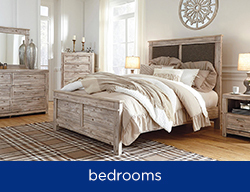 Our discounted furniture store, located in Slidell, LA, carries a wide array of affordable home furnishings from reputable brand names such as Ashley Furniture, Millennium, Corsicana Bedding, and more. When you shop with us, you can expect to receive not only great furniture deals, but also amazing and friendly customer service. 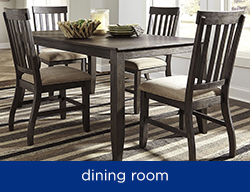 We know that shopping for new home furnishings can sometimes be a difficult process, but we are here to help. Our knowledgeable and experienced customer service professionals can teach you all you need to know about the home furnishings we provide, and answer any questions you may have along the way. There are no pushy sales tactics to be seen in our store, and ultimately our customer service staff is there to help you find the best furniture for your personal home needs. In terms of our furniture selection, you can turn to us to find home furnishings for you living room, dining room, and your home office. 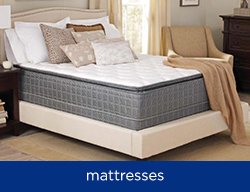 We also have bedroom furniture and mattresses for both kids and adults. 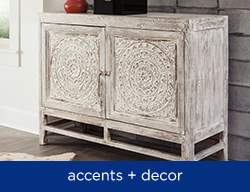 In order to further transform you home, we can even provide you with an array of elegant home accents. 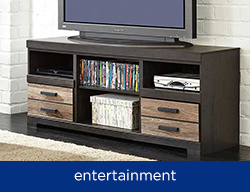 All the home furnishings we sell are durable, reliable, and of course, stylish. We encourage you to stop by our Slidell, LA furniture showroom today. We are located at 1590 Gause Blvd. West and we are open 7 days a week. 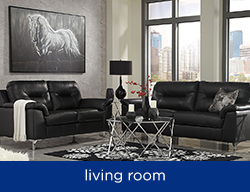 We are confident that once you shop with us, you will realize just how fun and stress-free furniture shopping can be.